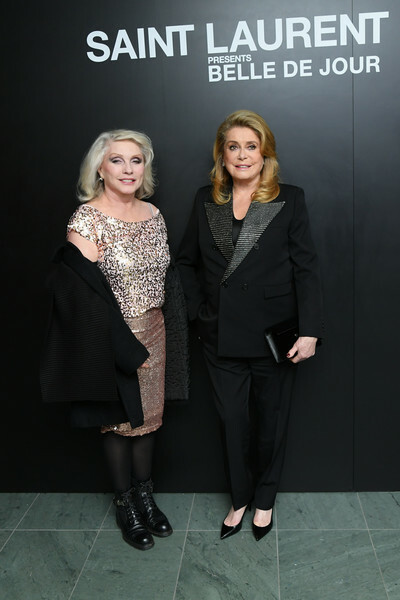 Musician Debbie Harry (L) and Catherine Deneuve attend the Saint Laurent Presents "Belle De Jour" 50th Anniversary Screening at Museum of Modern Art on December 19, 2018 in New York City. Debbie Harry toughened up her look with black combat boots. Debbie Harry looked radiant in her pink sequined top and skirt combo at the 'Belle de Jour' 50th anniversary screening. Catherine Deneuve donned a black pantsuit with embellished lapels for the 'Belle de Jour' 50th anniversary screening.